It is without a doubt the Bryan brothers, Bob and Mike are the most celebrated pairs in men’s tennis. Why? Since they are identical twins and came as the perfect package from the start. They have won numerous Olympic medals, professional matches, tournaments and Grand Slams than any other men’s pairing. 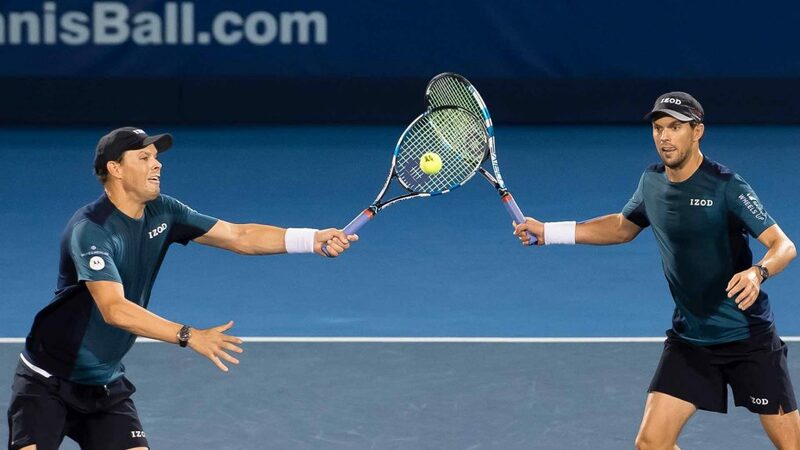 They have also held on to the title of world no.1 doubles ranking jointly for 438 weeks, which is quite remarkable as it is longer than anyone else in the history of doubles and has also enjoyed the world no.1 ranking together for a record of 139 consecutive weeks. They were the perfect doubles pair since Mike was right handed and Bob left-handed. Well over 6 feet and wonderful serve-volleyers, it was the ideal style for a doubles player. When the identical twin duo was competing, they were practically unstoppable. They finished as the year-end highest ranked pair in men’s doubles a record of 10 times, in addition to winning over 16 Major men’s doubles titles and winning every individual Major a minimum of two times. It was in the Davis Cup that their record was a bit less than stellar which is not due to their abilities. While they may have won a phenomenal 24 doubles rubbers in the Davis Cup and lost a mere five, their greatness as double players has not been met with the grandeur of single American players besides them. The USA had only won one Davis Cup in the Bryan brother’s era which was in 2007 against Russia when James Blake and Andy Roddick won enough single points to go alongside the point in doubles which the Bryans nearly guaranteed. The relative loss of the Bryan brothers in the Davis Cup compared to their impeccable achievements as a double pairing in Grand Slam events is only a part of the more comprehensive picture. In which without a doubt they have been the greatest ever men’s double pairing when at a time in which doubles tennis had nearly faded into obscurity. The best doubles tennis is arguably the sport that demands the quickest reflexes and fastest of fast twitch fibers. Such qualities were evident in the Bryan brothers pairing.